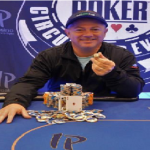 Ryan Jones, a professional poker player from Burlington, North Carolina has won his second World Series poker title at the Rio Hotel and Casino in Las Vegas and pocketed $269,327 from the tournament. This was the second world series of poker Main event win for the player. 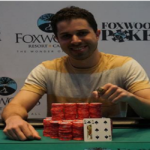 Before this event he has won a WSOP Circuit Ring in 2015 at Harrah’s Cherokee. The event#11 of the tournament or $1,675 buy-in Main event attracted 945 entries during the game, but only 19 were left at the final day of the game. Total prize pool for the tournament was $1,417,500. Out of top 19 players most of them were previous winners. They were looking to add this particular match in their winning inventory, but it was the day for Jones, who won the Main event and created history for himself. Out of 19 players Jones was at ninth place. He said I was not playing well early in the game and I was very disappointed about that. Muruz Yohannes form the United States was the runner-up of the event. 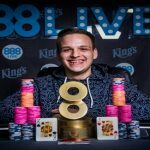 He pocketed an amount of $166,585 from the tournament being second. 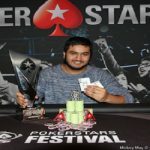 Third, fourth and fifth places of this particular world series of poker main event belongs to players from the united states of America and they were Jeremy Joseph, Nikolai Sears and Anthony Utnage. All three players pocketed $122,954, $91,996 and $69,698 respectively. 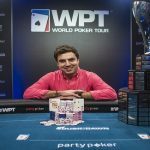 Martin Zamani busted to sixth place for $53,468, Jett Schencker hit the rail to seventh place for total winning share of amount $40,519, while an Austrian Player named as Daniel Engels busted to eighth place and pocketed $32,645 from the game. Cody Pack of United States (has four Circuit rings) busted to ninth place for $25,969. Some notable player who couldn’t connect in a good manner were Christopher Staats (19th) who has two WSOP circuit ring and Ari Engel who has 14 circuit rings.